*Warning: Photo overload to commence. Before there was Pinterest, there was my mom. She chronicled everything in photo albums and scrapbooks. She doesn't shy away from bold colors and interior design choices. She sold handmade products decades before Etsy and StoreEnvy were the trendy thing to do. She has an undying eye for fashion. And then there was my sister. She inherited every ounce of Mom's creativity and fashion sense. (Life's just not fair sometimes.) Having a child has given her the opportunity to put those talents to good use, now and several times down the line. 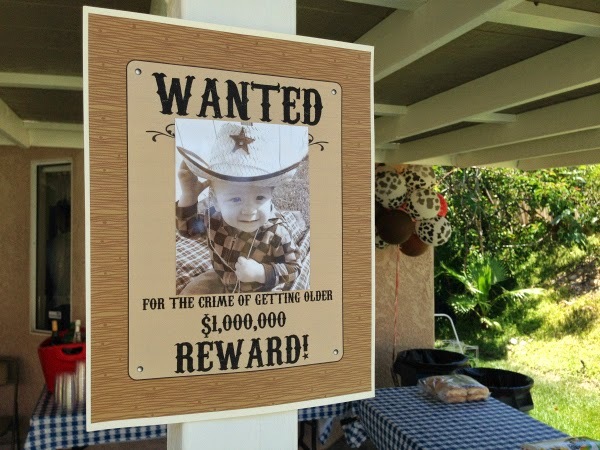 If my nephew's cowboy-themed 1st birthday party is any indication of future events, I'm glad Auntie Linz gets an automatic invitation to every single one! 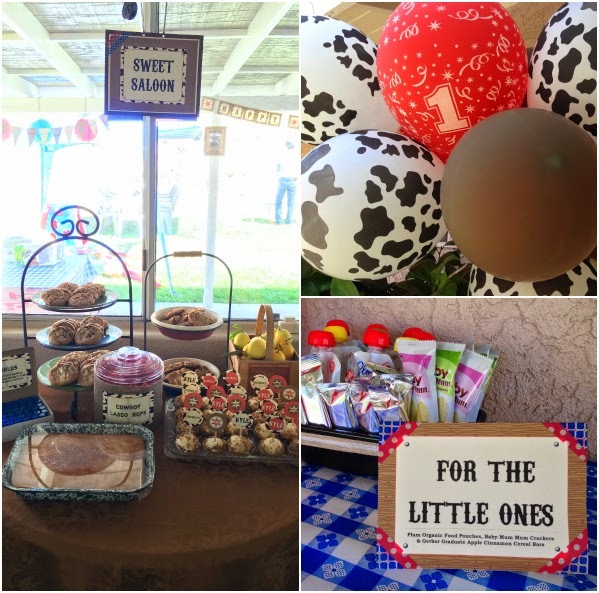 She put so much work into making customized decorations and treats, and it was a rootin' tootin' good time! I can't believe he's one year old already! 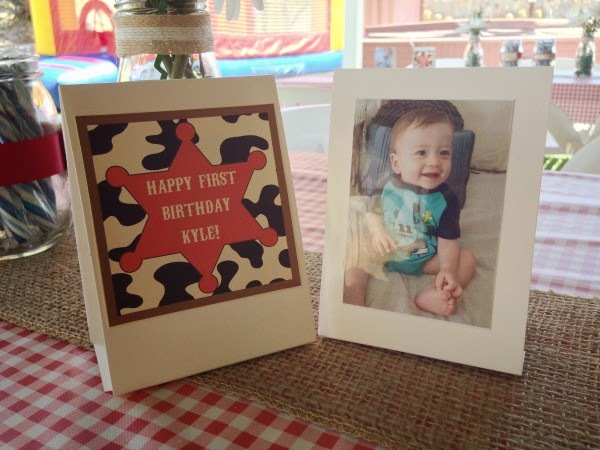 The tables were decorated with Kyle's monthly photos over the last year. 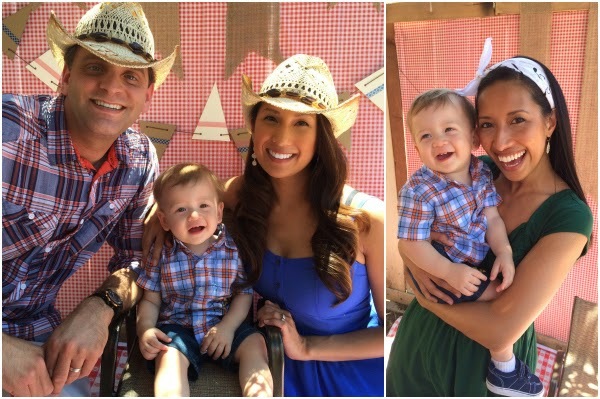 He is the cutest little cowboy in town! 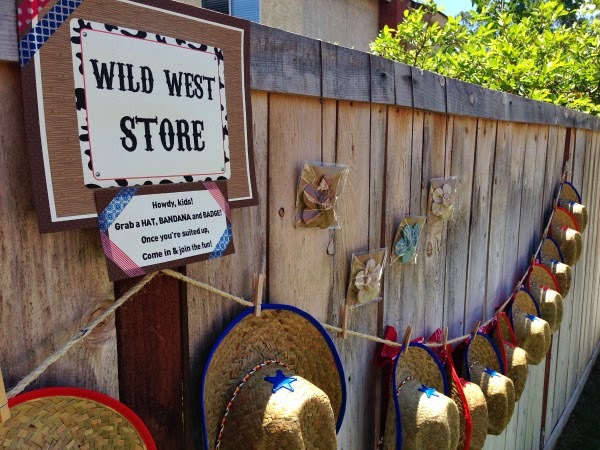 Hats, bandanas, sheriff badges, and hair bows for everyone! Perfect for the photo booth! Yes. She made those photo booth signs too! Delicious goodies for the tall folk as well as the small folk. 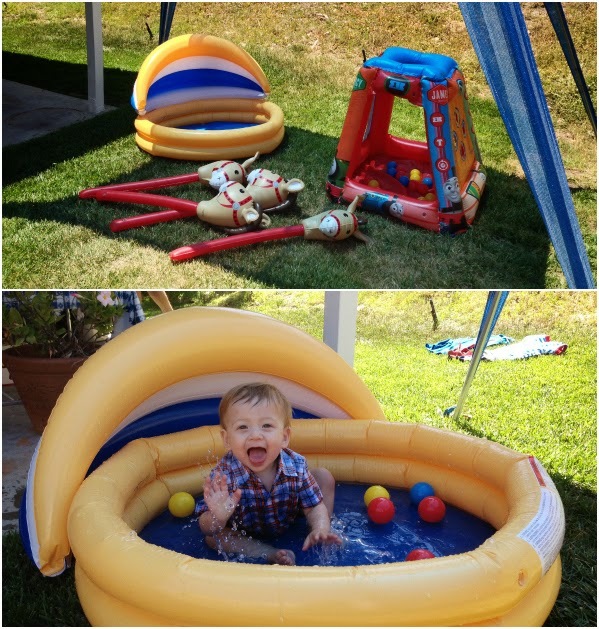 The easiest way to corral wee ones is to set up inflatable toys, a miniature ball pit, and a kiddie pool! 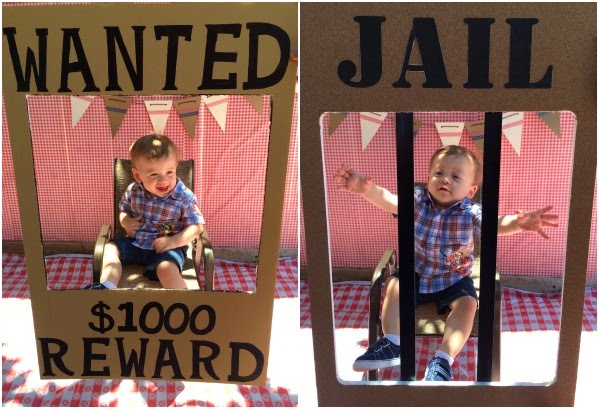 A themed high chair sign for the cake smash, of course. 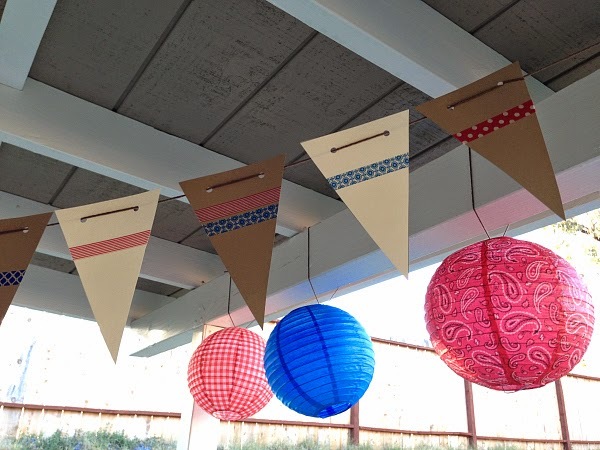 She made DIY banners to match the perfect paper lanterns she bought for the party! I am so grateful that my sister and BIL planned this little dude's birthday party around my trip home to attend a wedding. I left San Diego feeling impressed by the parents that they've become and thankful for my family. In the few nights I spent with them, I now know how maddening it can be when your child is sleepless at 1:00 AM and how a babe's chuckle renders you lovestruck. What a weekend! Oh my goodness! That party is just simply adorable! The "jail" is hilarious. 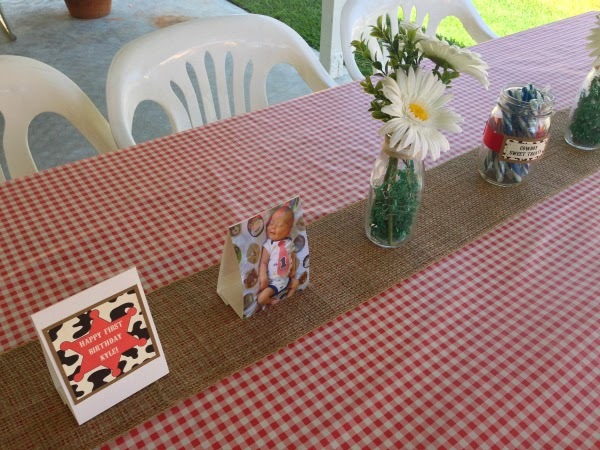 Theme and decorations were very cute. I had a great time helping with the set-up! Wow!! 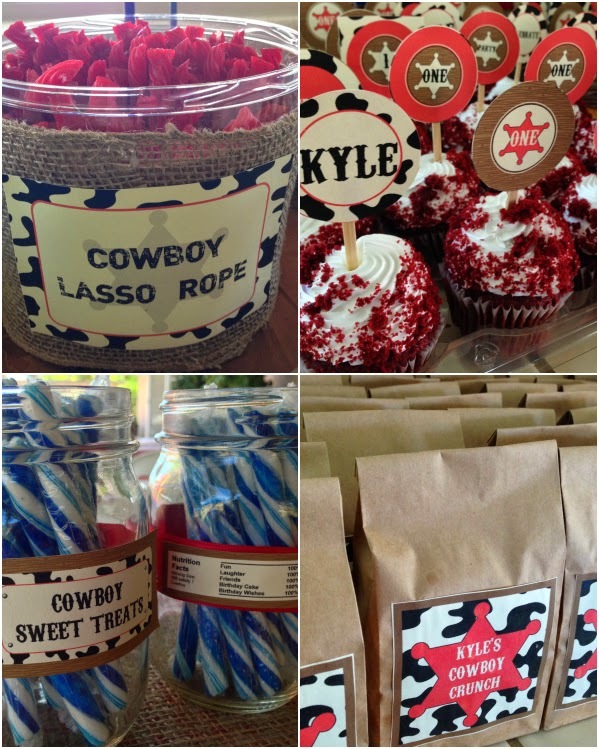 Such an outstanding cowboy themed party. Loved the little cute baby. Want to have similar birthday party for my son at one of amazing Venues in San Francisco. 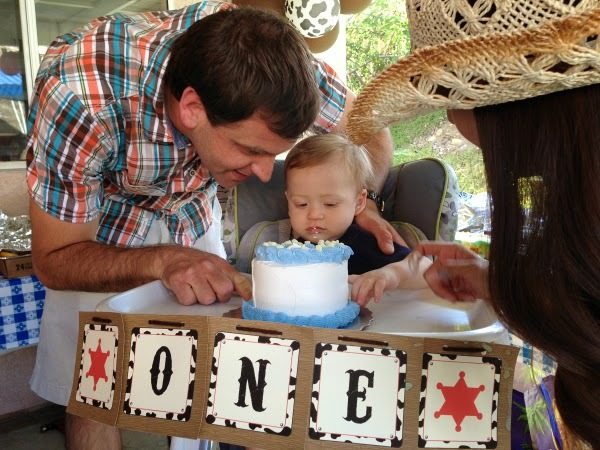 Want to make his first birthday special and memorable.